Greeting from NYC, friends! Today I am working in the city and hopefully playing a little too! And I'd be remiss if I didn't squeeze in a little shopping as well. With shopping on the brain, I thought I'd bring you a little royal love today. No, not Prince Harry, although he is in NYC this week. I'm talking fashion. 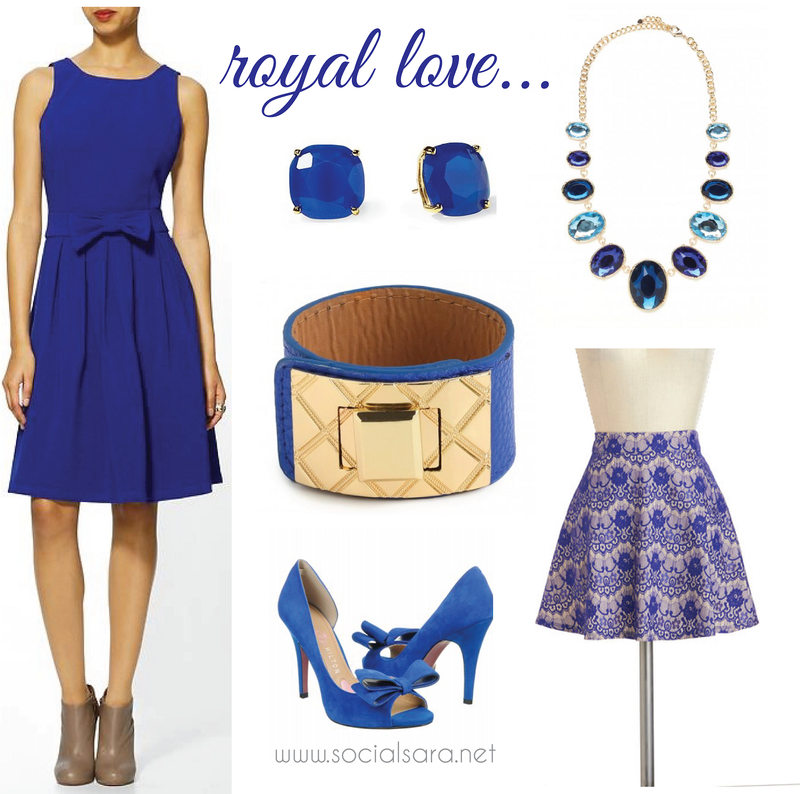 Remember yesterday's post where I mentioned my love for royal blue? Well, here's a little more of it to crush on. Such a beautiful color for summer, don't ya think? Seriously one of my faves. I can't get enough!